The Third most important part of any digital imaging system is how the data is stored and how it is received by the users. Your digital imaging data is very important, and needs to be stored and distributed reliably and securely. There are many ways to achieve this, certain pieces are legal requirements while others depend on what your facility needs are. We can help you understand the latest technology and make a good choice based on budget and future expectations. 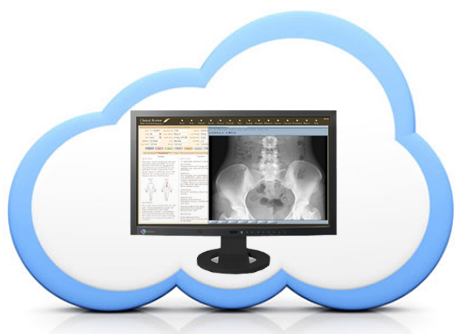 Image Management Systems (PACS) provide both the storage and delivery services of patient imaging information. Modern medical imaging systems such as DR and CT can create a patient study that has a storage and network transfer size anywhere from 30MB to 10GB and beyond. So depending on your imaging systems, patient study volume, expected growth, and storage requirement needs, there are many things to consider when either new to digital imaging, or planning your next upgrade. As technology advancements never stop, user needs continue to change, and existing IMS/PACS systems continue to age, sometimes upgrading an existing IMS/PACS system is cost-prohibitive but there are ways to fix missing pieces that either never worked correctly or didn't have the functionality from the start. If your not ready to upgrade your current system, we may be able to help resolve problems related to storage, security, workflow or others. Our smaller scale solution is very complete, very scalable to grow as your business does, and extremely reliable. It includes a small on-site server with redundant drives and power supplies, a 2nd server used for disaster recovery, and a fully configurable workflow engine with a full-featured web-based diagnostic image viewer. This affordable solution will keep you compliant with security regulations, give you everything you need to manage your digital data, and requires very little maintenance. 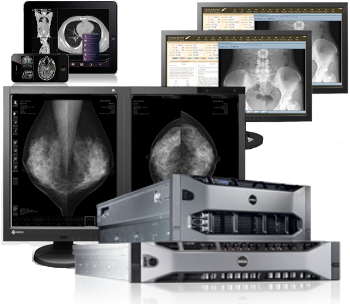 For the larger Imaging Center or Hospital environment that requires reliability, speed, integration to other disparate systems, and a high level of configuration capabilities we have solutions that deserve a thorough review. If upgrading is not an option, one of our solutions may be able to answer shortcomings of your current system, as you slowly migrate into a more modern solution. Our costs are very competitive and customizable to your budget needs. With all the hype around cloud-based/ASP (Application Service Provider)/SaaS (Software as a Service) products, the real question to answer is whether these services will work for you? Of course the major benefit with these services is the lower up-front cost, but over time those costs catch up and can get quite expensive. There can be benefits to moving to the Cloud, just be certain you understand all the angles. Medical Imaging Technologies can provide information specific to your facility for both purchased and subscription packages to help you decide what is best for your business. Often overlooked, disaster recovery planning is more important than ever. Even though most modern image management systems are able to do a very good job protecting your data, very few systems are configured properly to guarantee your data is redundant and safe in the event of catastrophic failure and/or data loss. We can help you understand what's legally required, and how to achieve a disaster recovery plan given your practice needs.